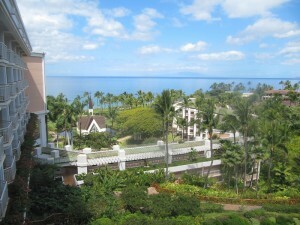 A tropical Oasis, unique in its design and amenities, the world class Grand Wailea, A Waldorf Astoria Resort allows guests to immerse themselves in exotic surroundings. Forty acres of lush gardens and tranquil waterfalls set the scene for accommodations, cuisine, pools and a priceless art collection. Located on the sunny southwest shore of Maui, the ultimate vacation experience awaits you at the Grand Wailea Resort. 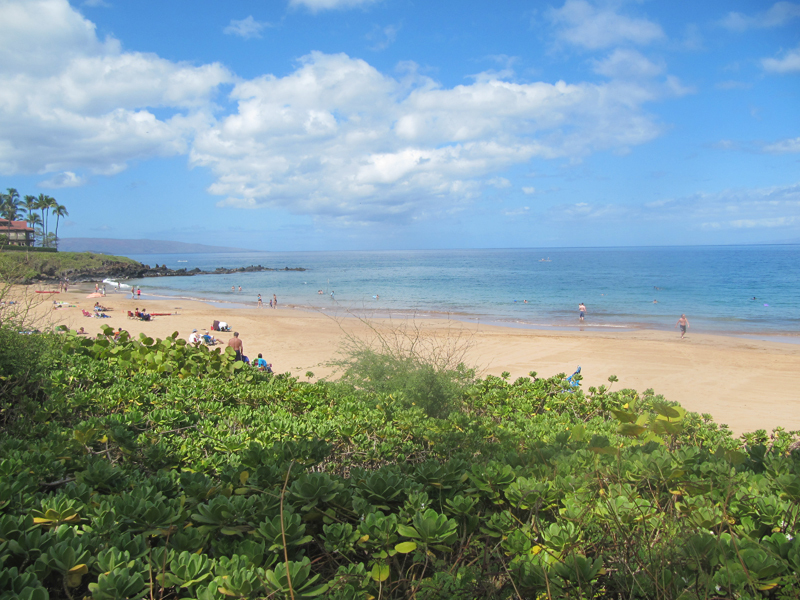 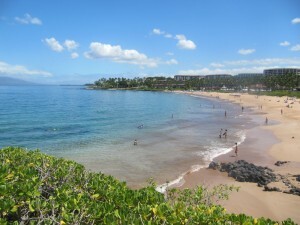 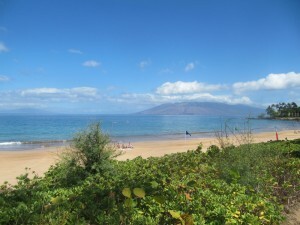 The Grand Wailea shares a very nice beach with the Four Seasons in the upscale Wailea region of Maui. 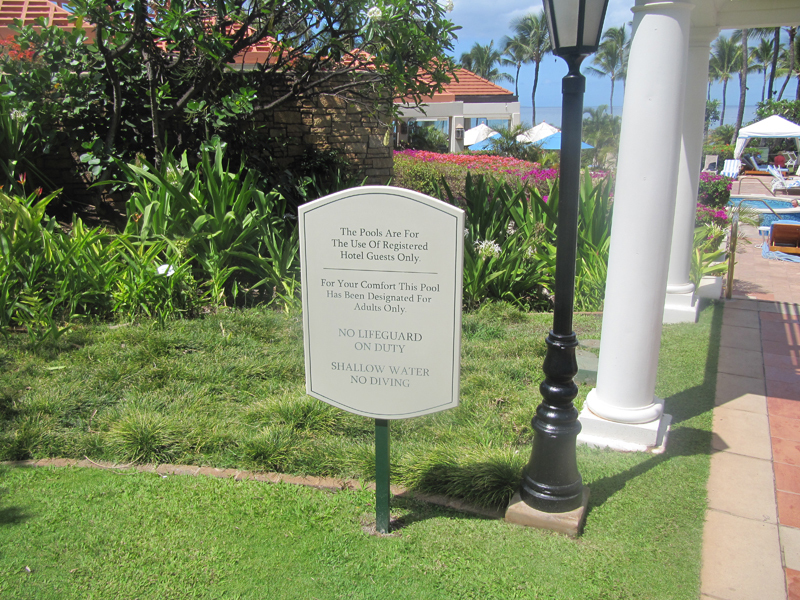 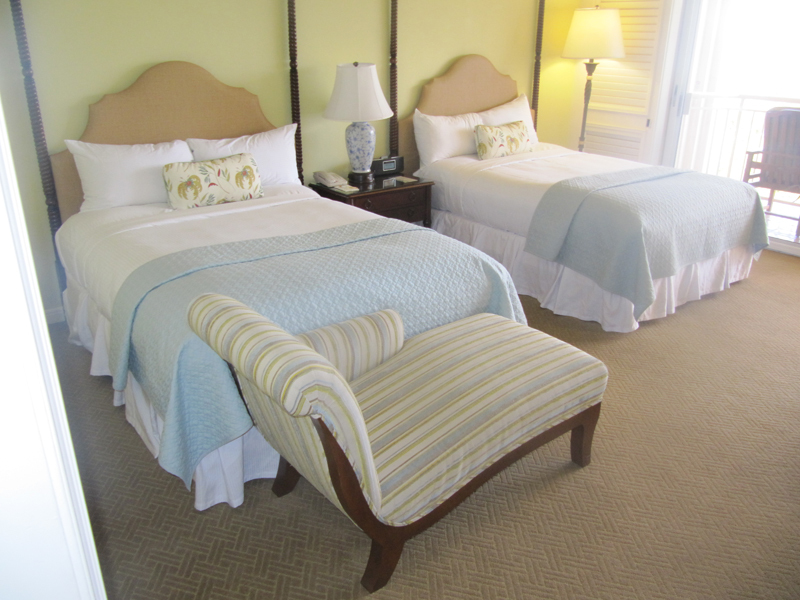 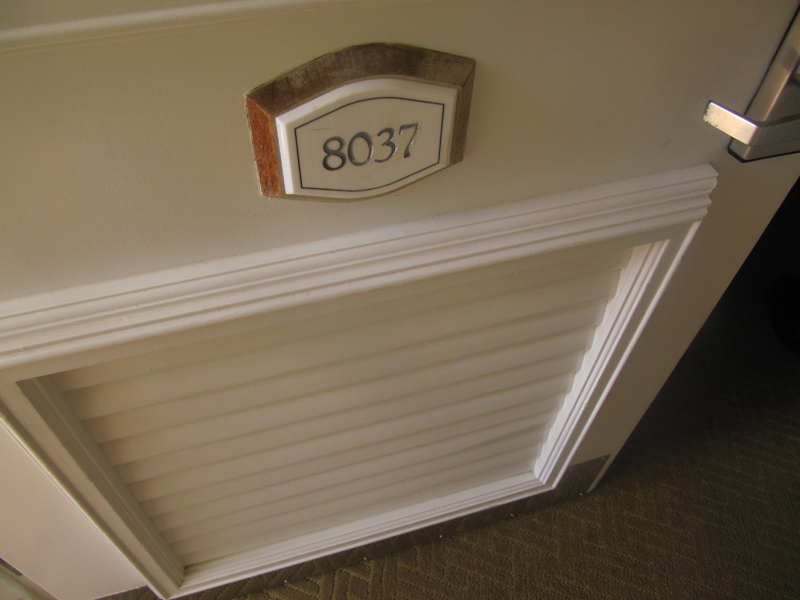 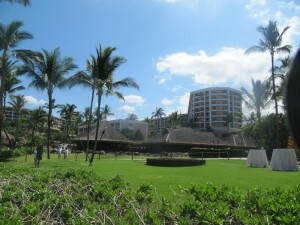 The resort is now part of the Waldorf Astoria Collection and the resort’s 780 rooms were renovated in 2009. The rooms are very similar with the exception of the view. 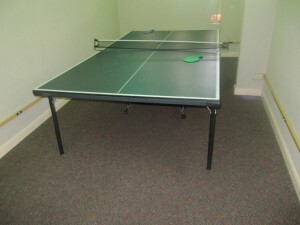 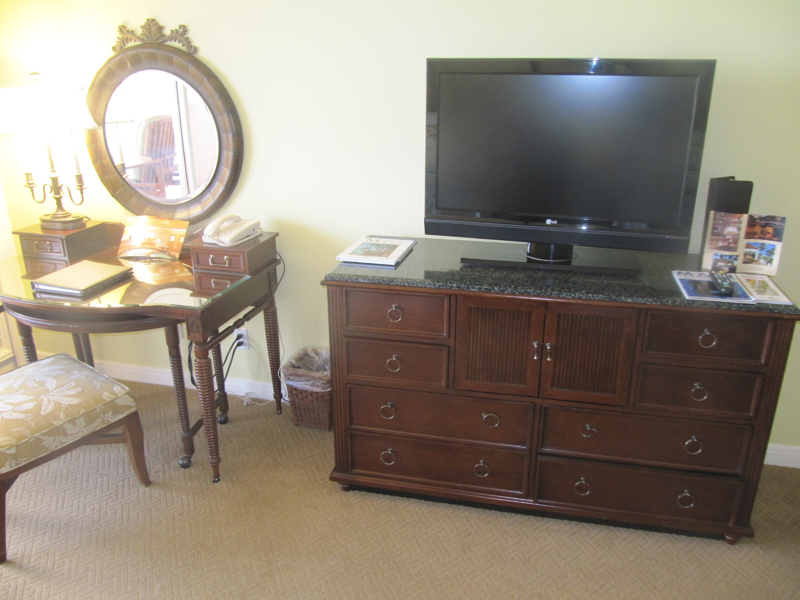 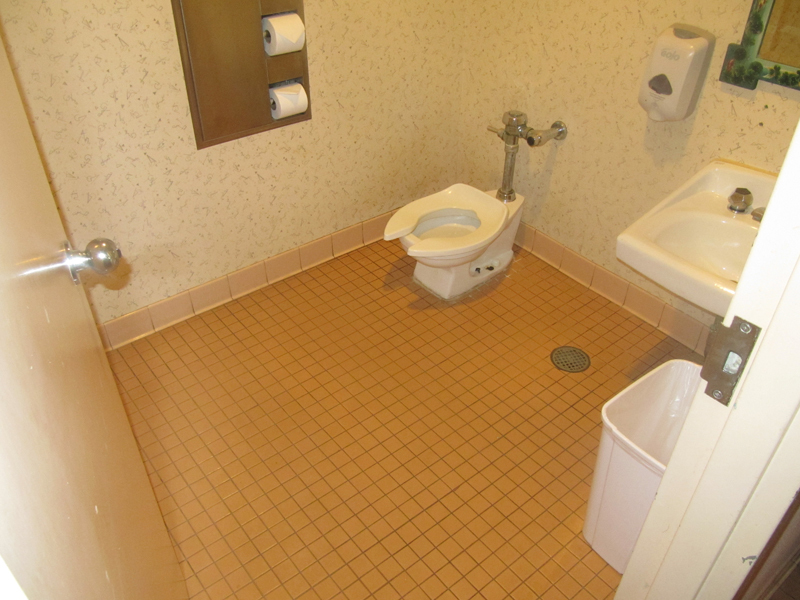 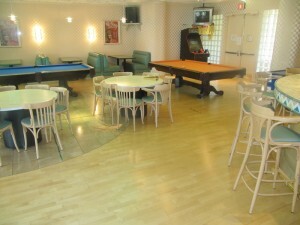 The rooms are all 640 square feet with nice bathrooms and plasma televisions. 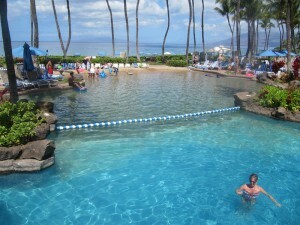 Unlike the other Wailea resorts, the Grand Wailea charges a $25 per night resort fee which covers self parking, fitness center, and wireless internet. 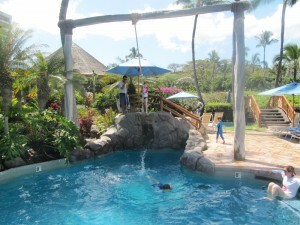 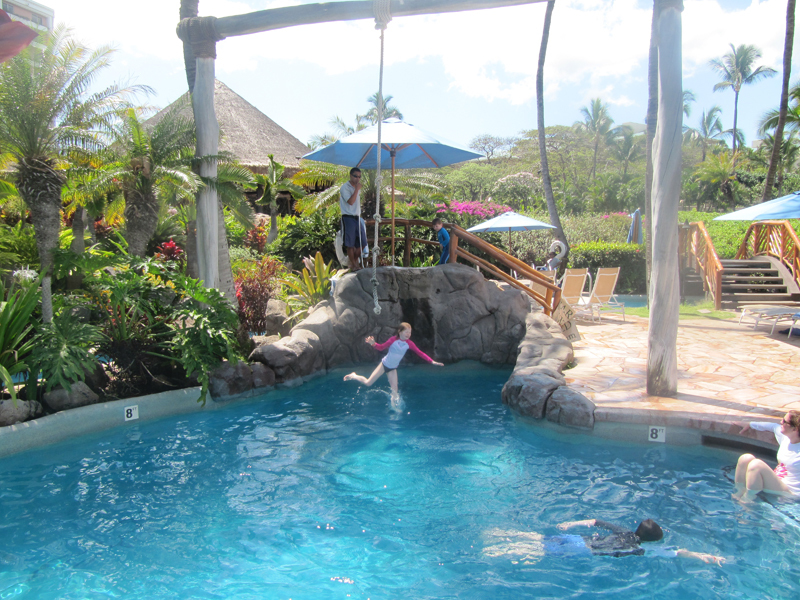 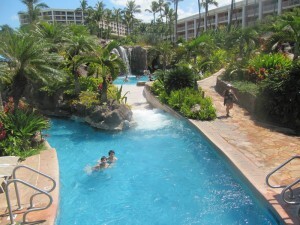 The resort has an amazing pool area with multiple slides, a Tarzan rope swing, 260 feet lava slide, lazy rivers, and more. 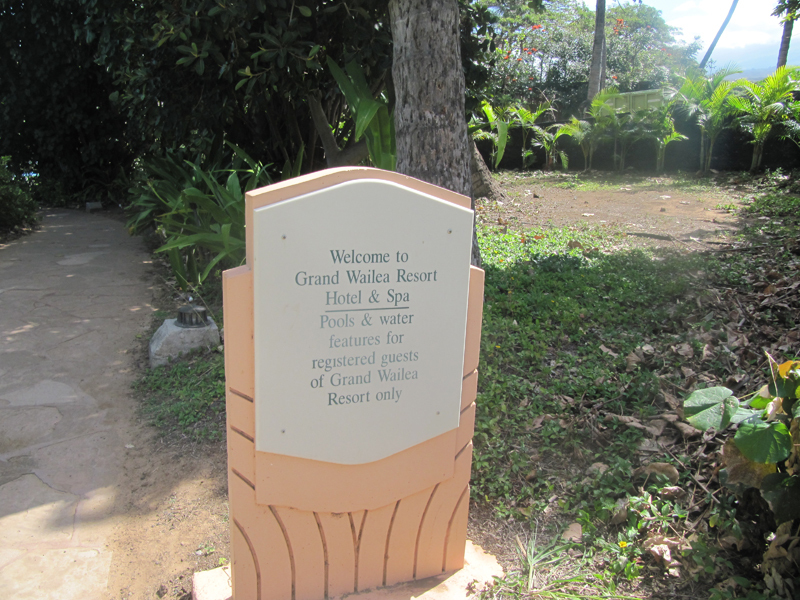 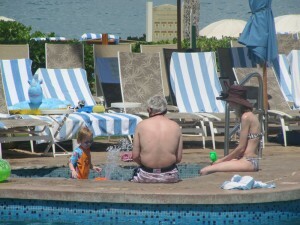 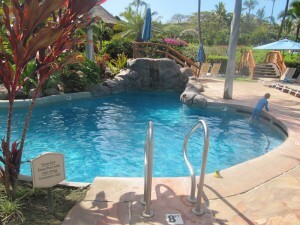 The pool area has an adults only area as well as a kids section with zero entry and sandy beach in the pool. 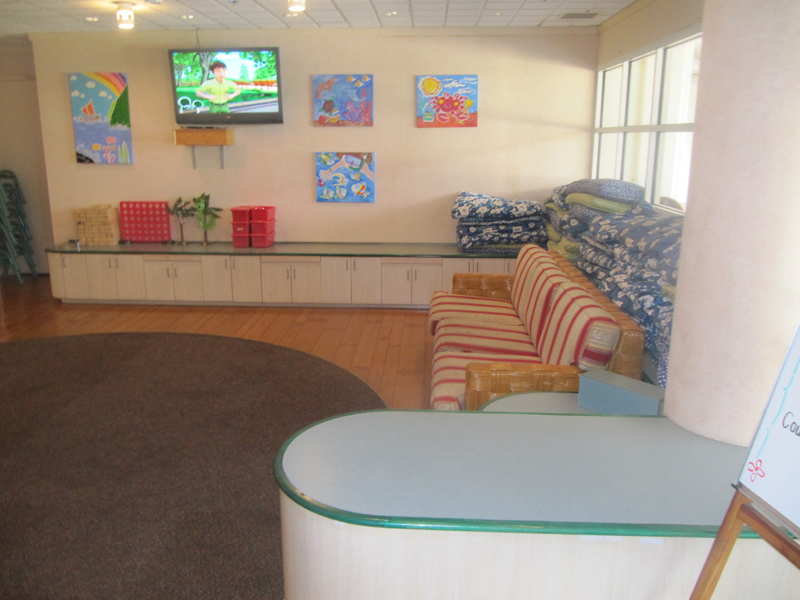 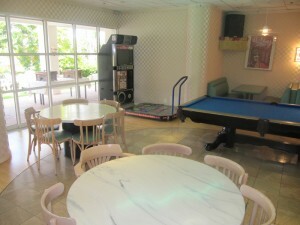 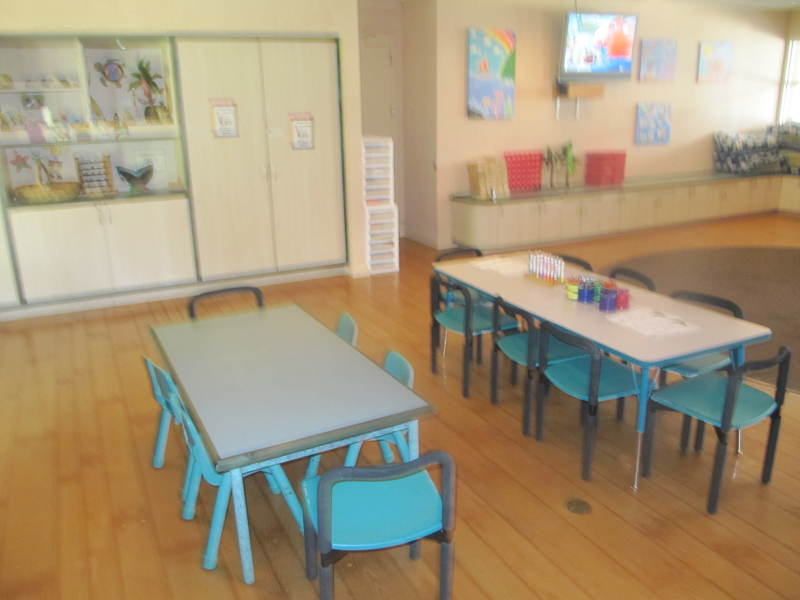 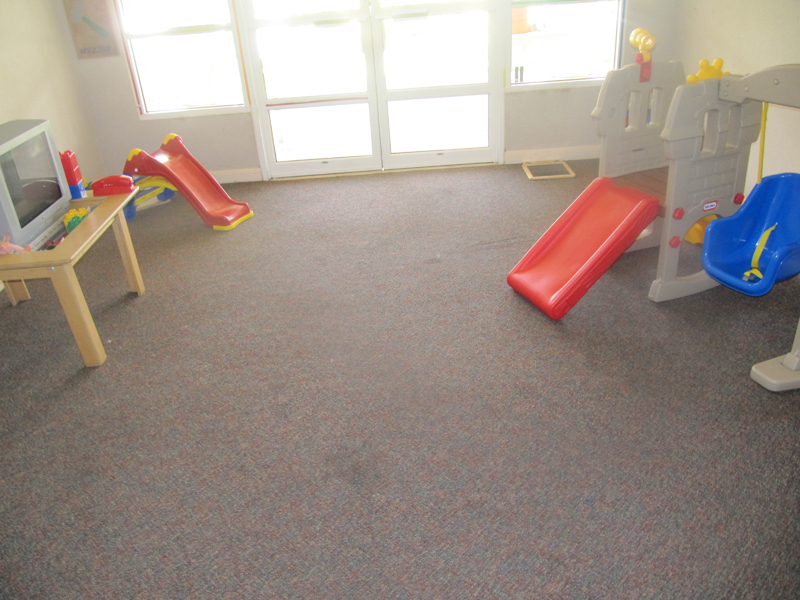 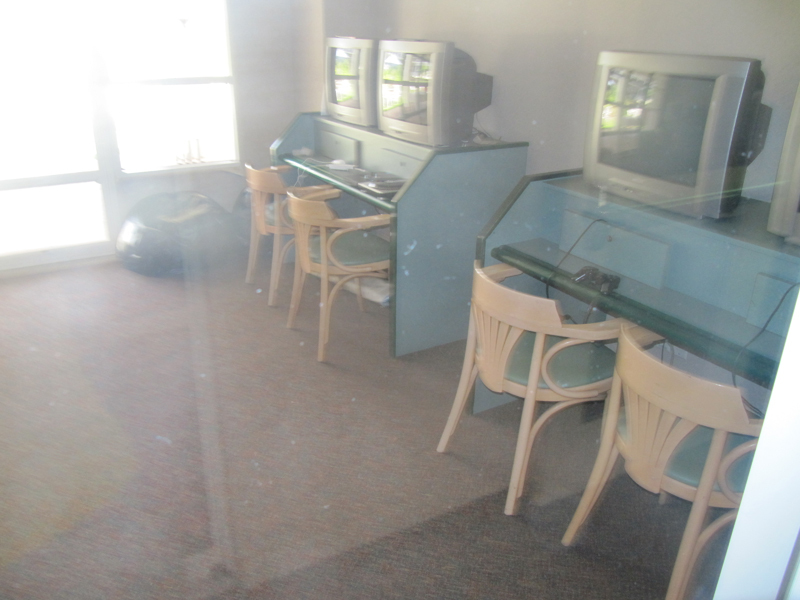 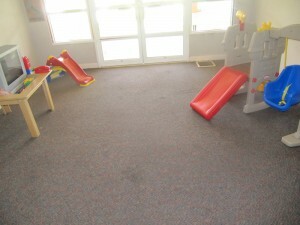 The resort has a 20,000 square feet kids program with movie theater, air hockey, video games, and more. 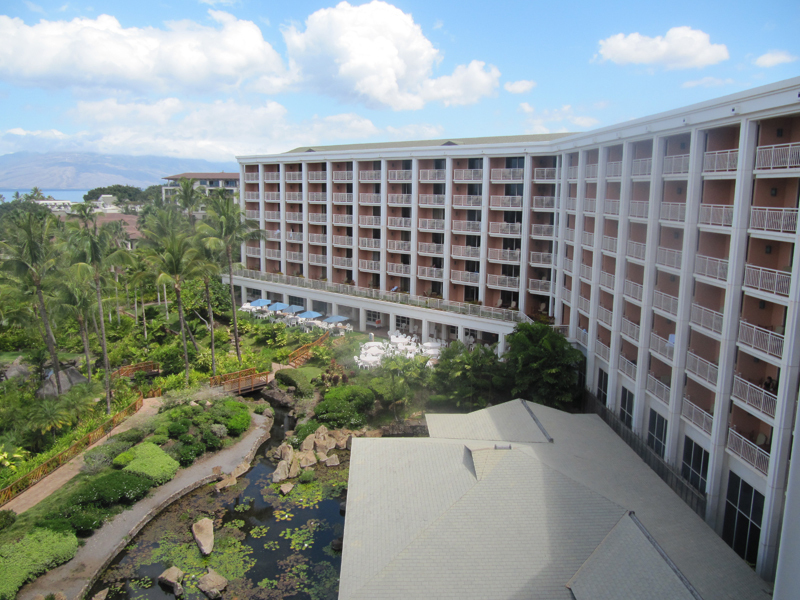 The Grand Wailea is 30 minutes from the airport and walking distance to the upscale stores and restaurants at the Shops at Wailea. The Ho Olei Villas opened in 2009. 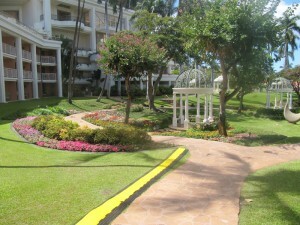 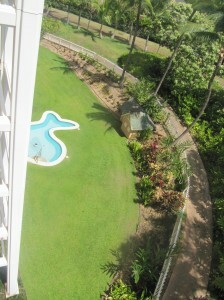 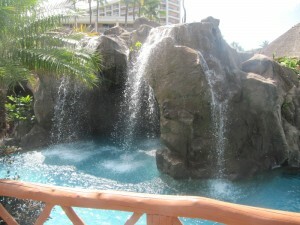 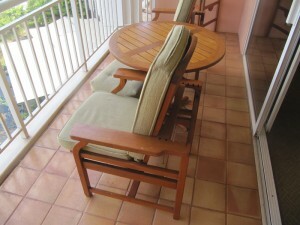 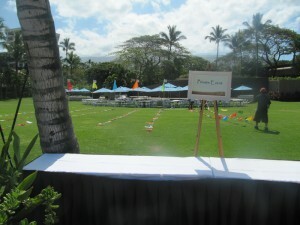 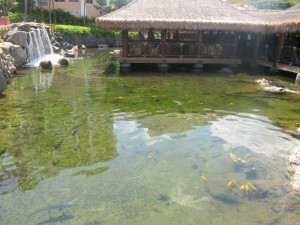 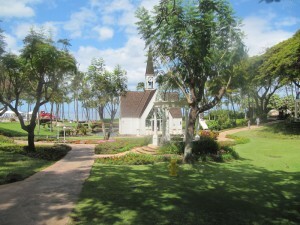 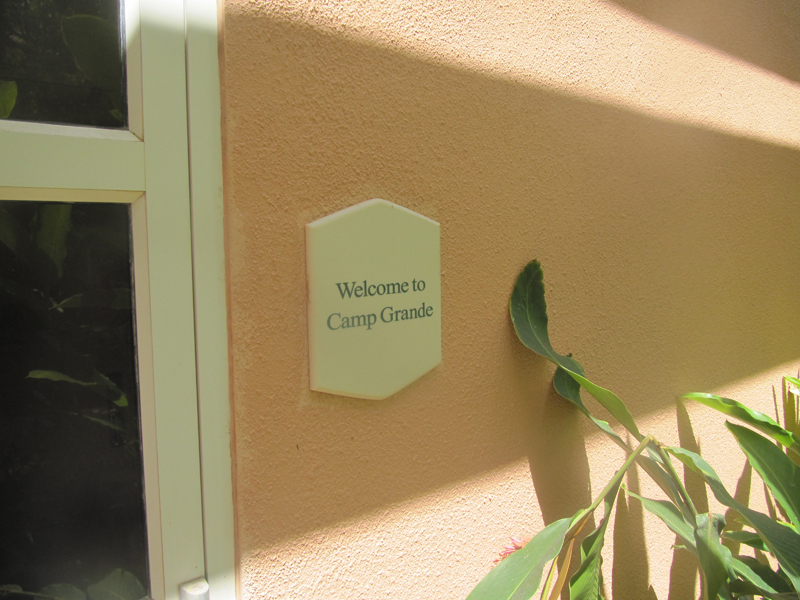 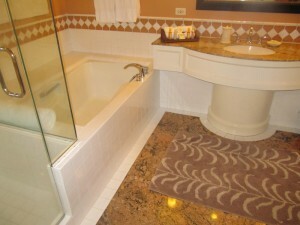 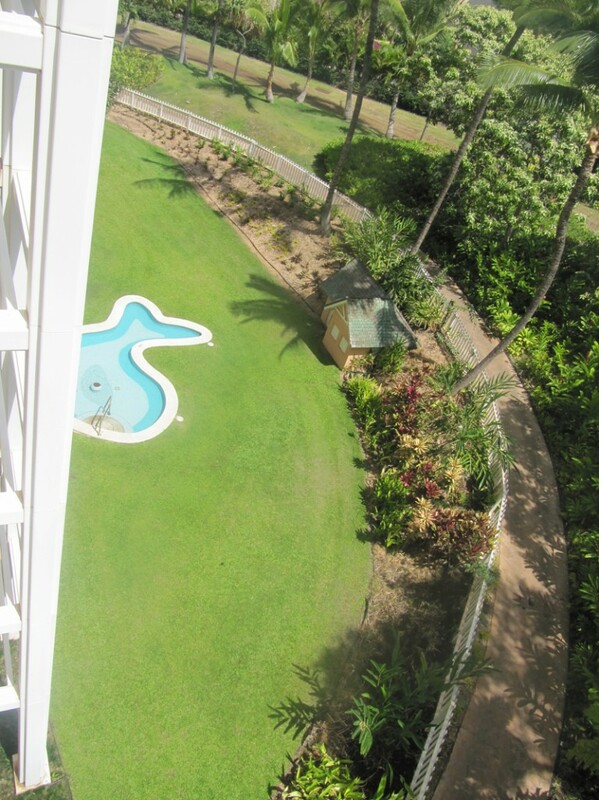 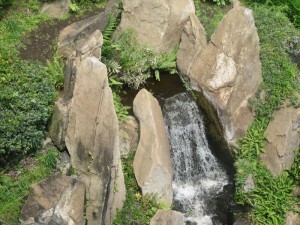 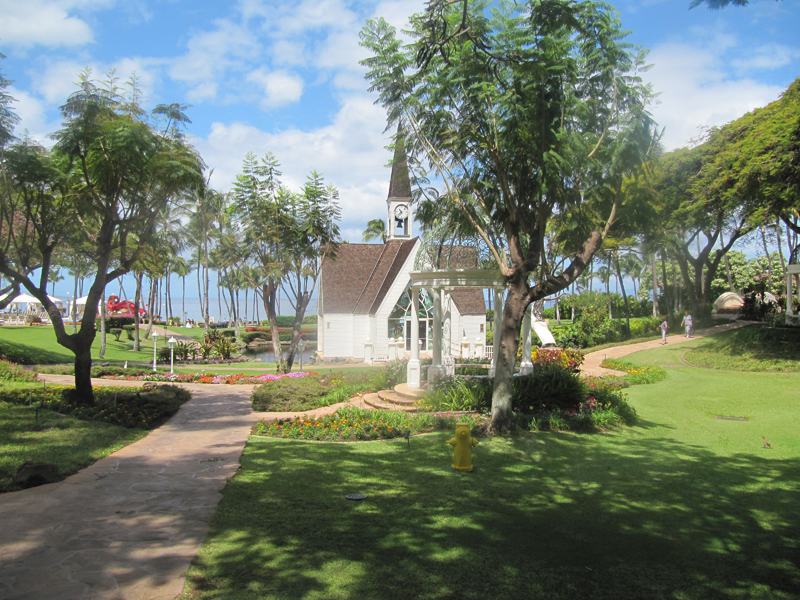 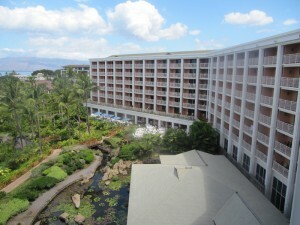 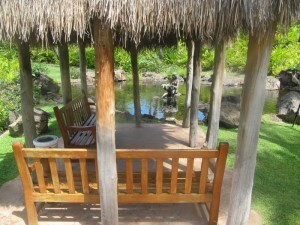 They are located across the street from the Grand Wailea and offers 3 bedroom villas and larger. 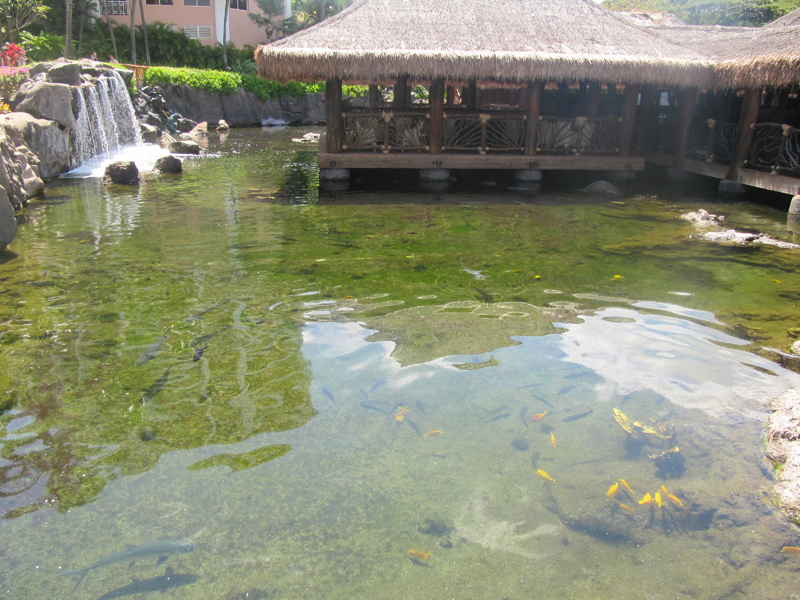 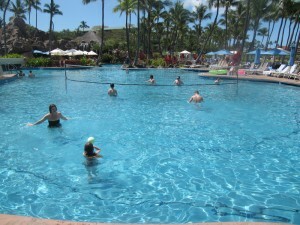 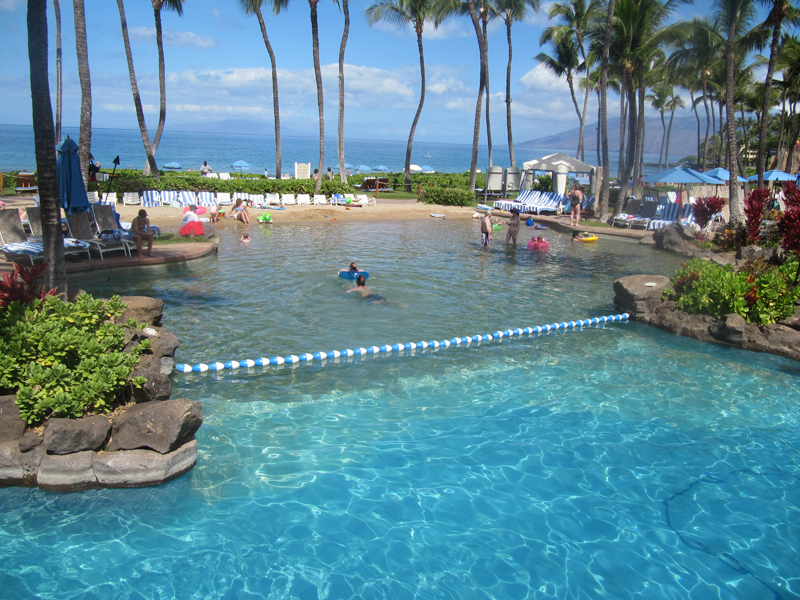 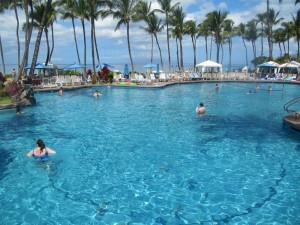 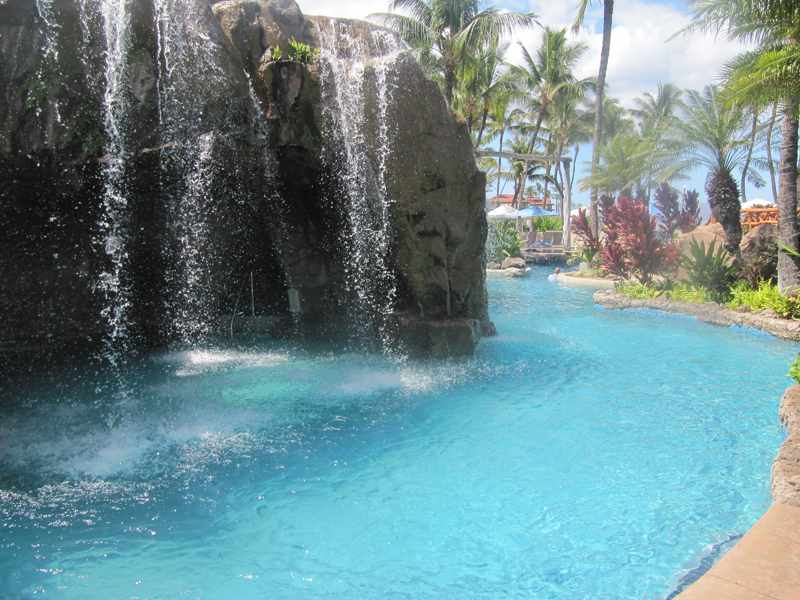 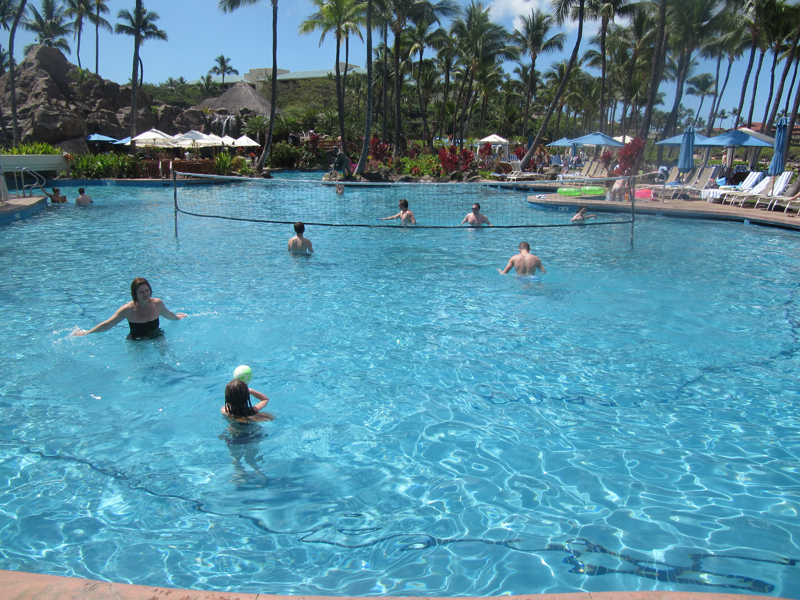 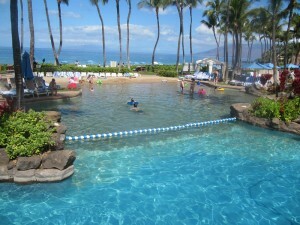 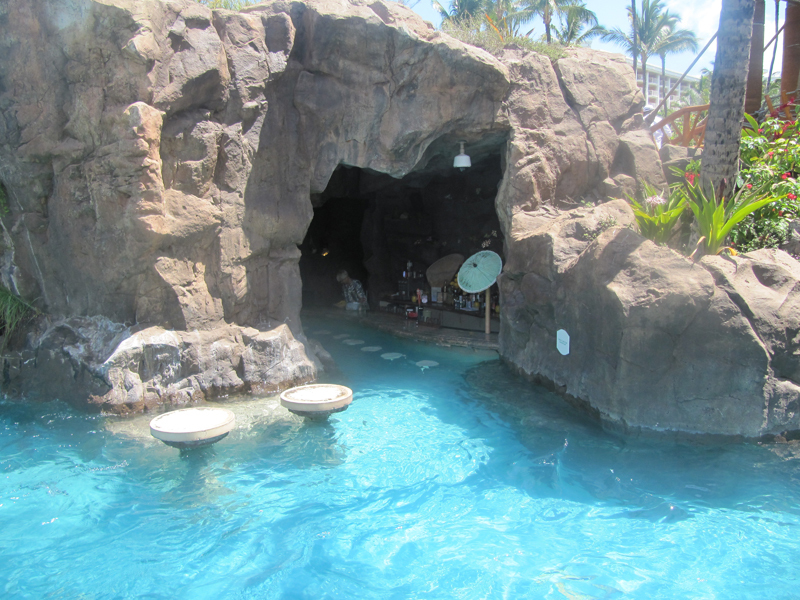 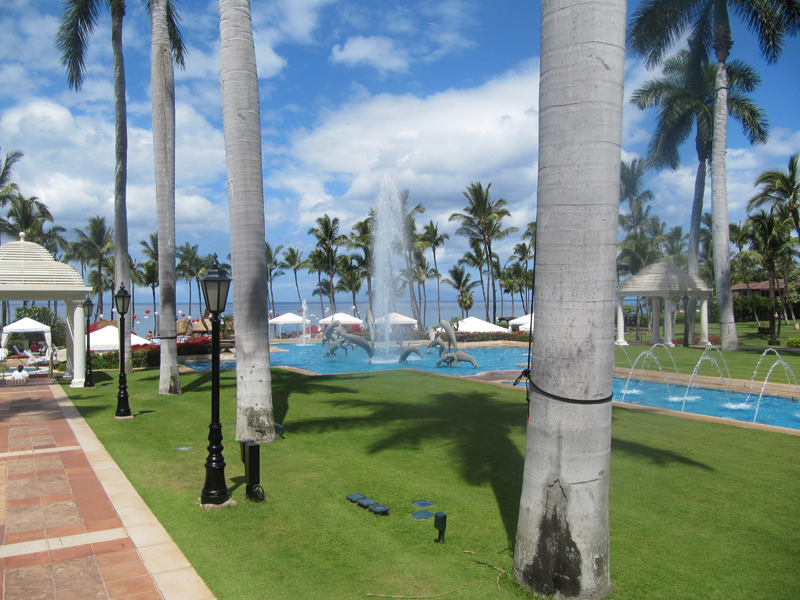 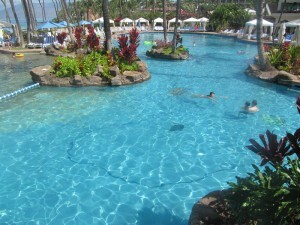 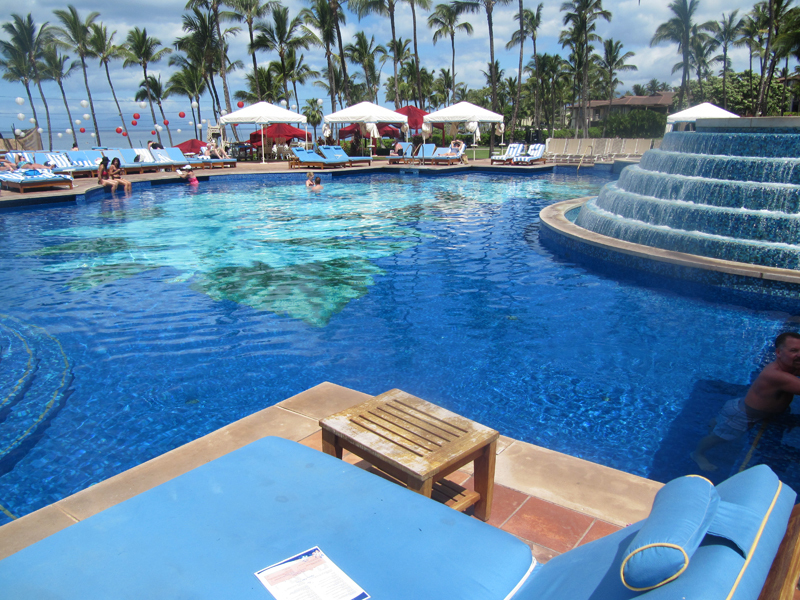 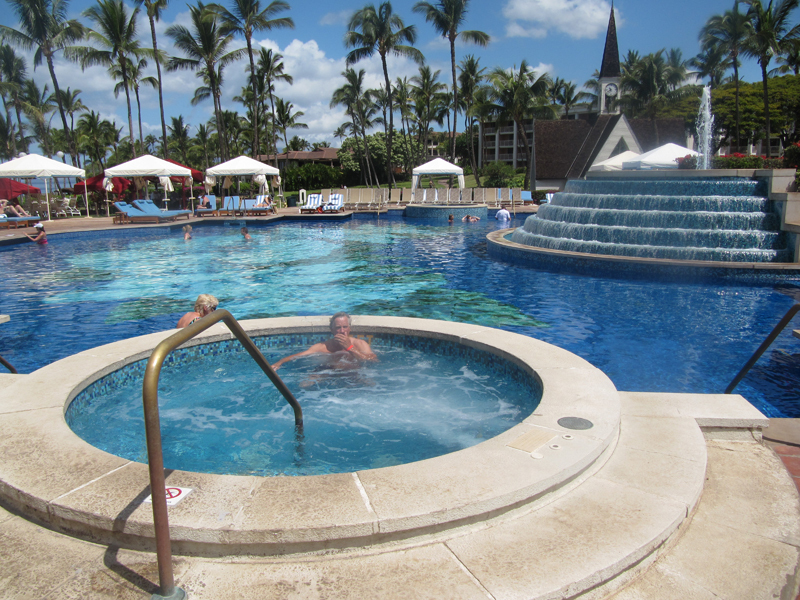 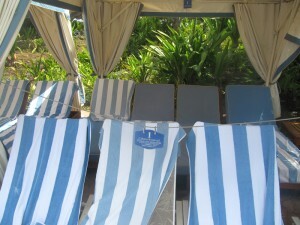 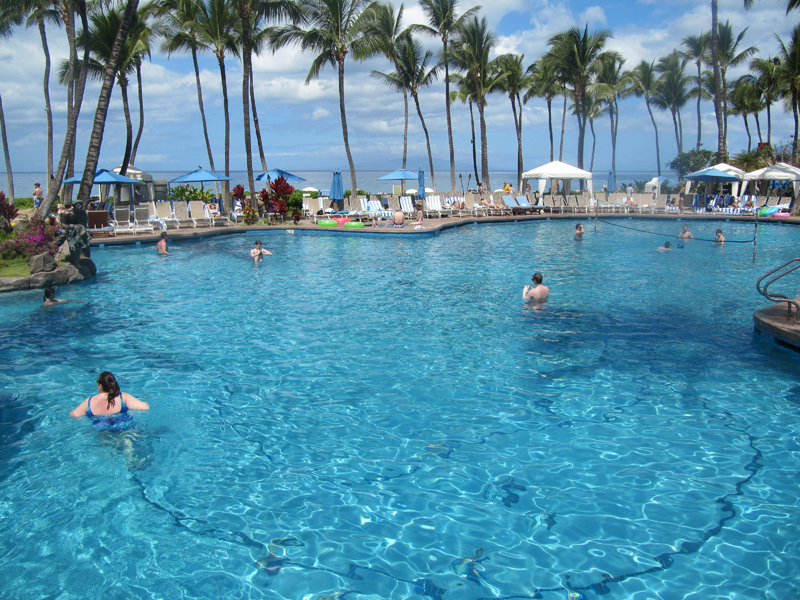 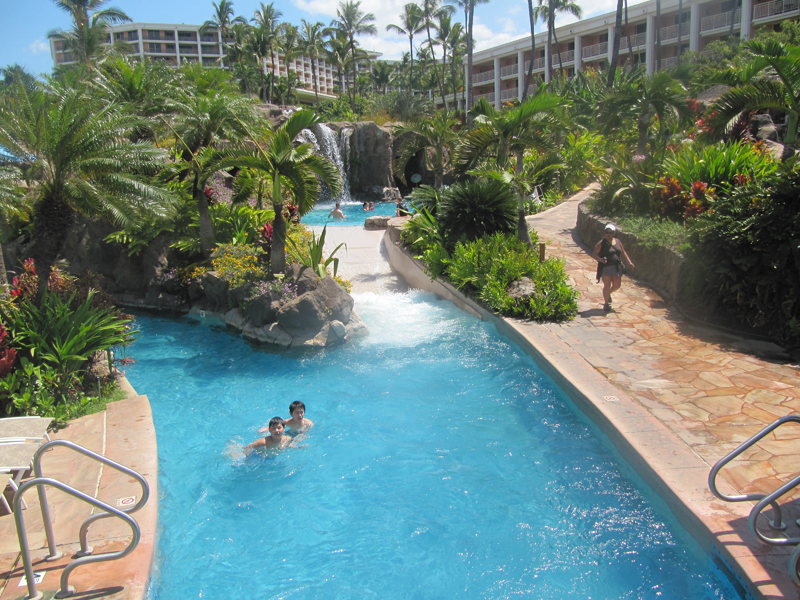 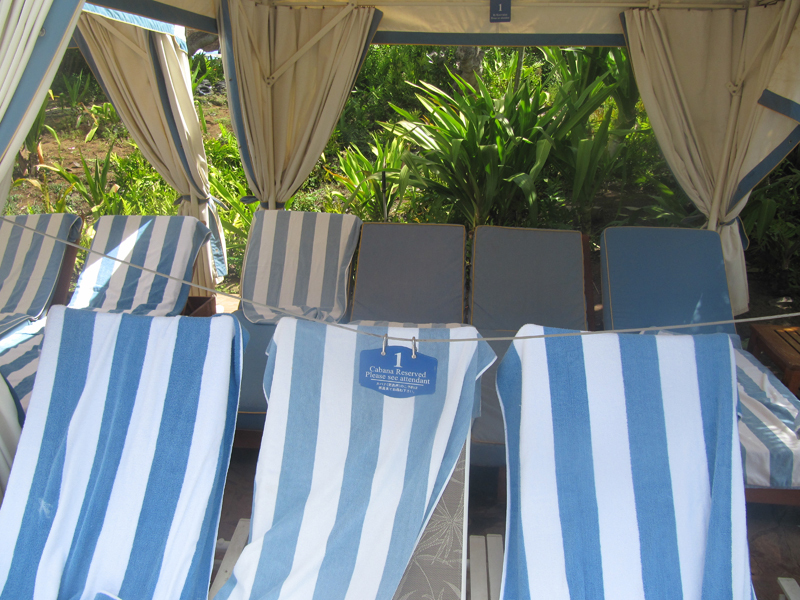 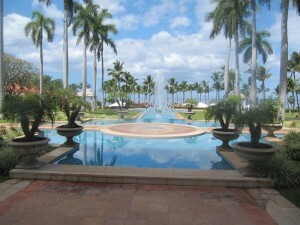 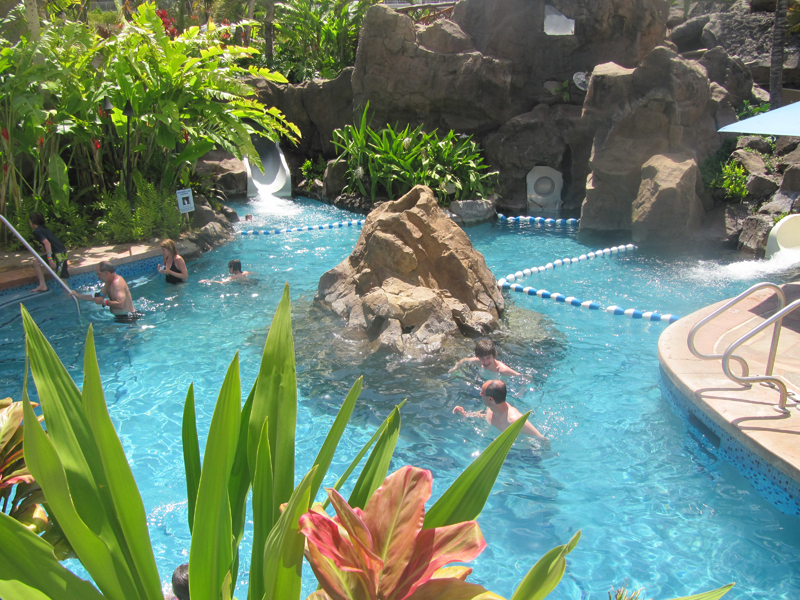 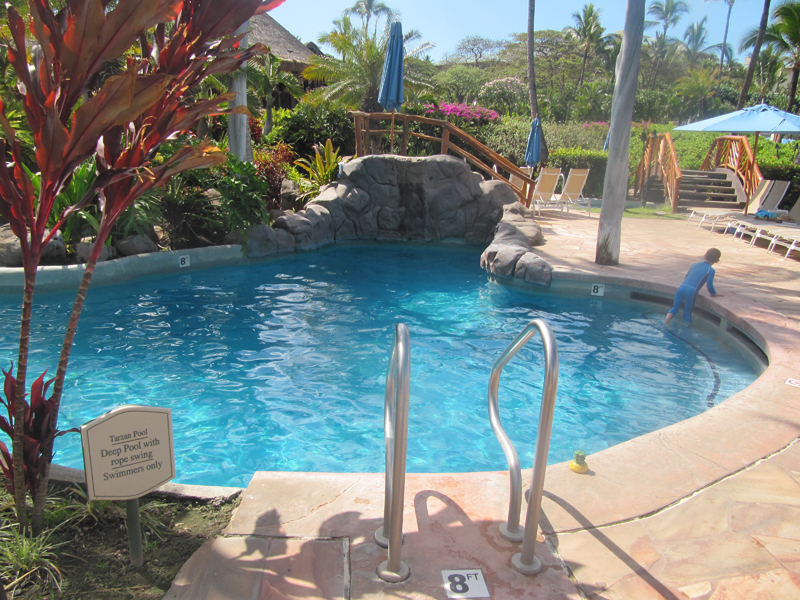 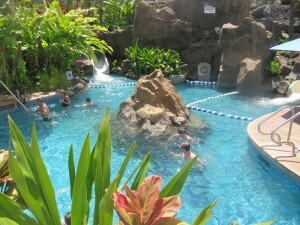 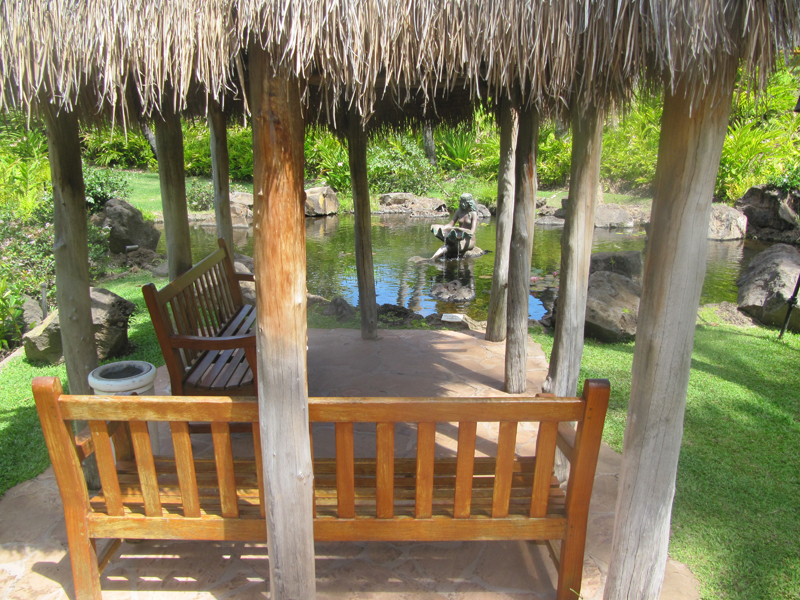 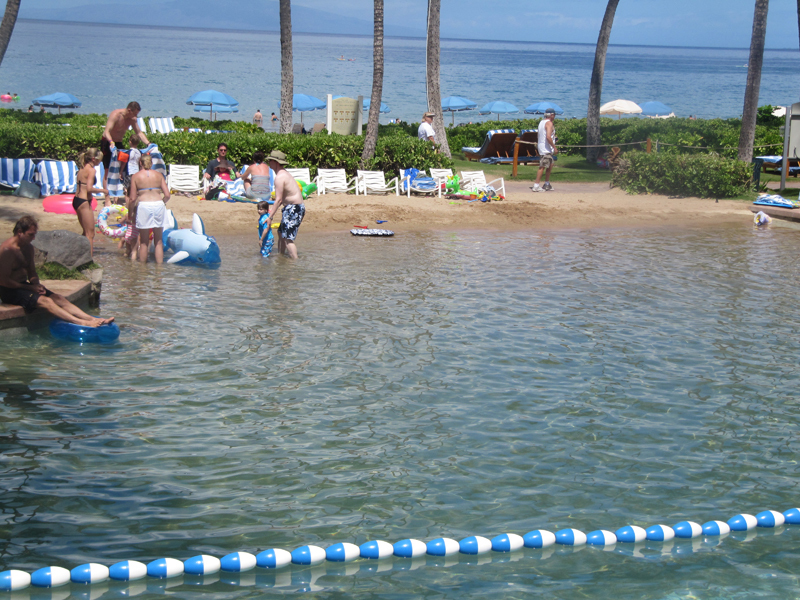 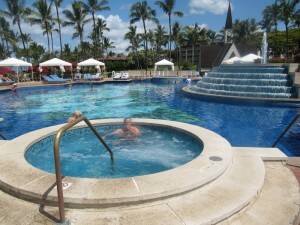 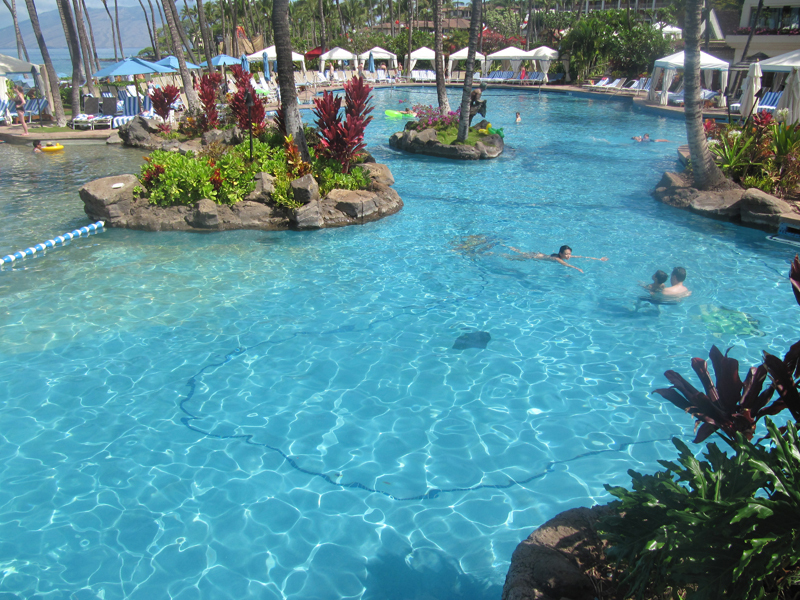 Guests at the Ho Olei have access to the pools and beach at the Grand Wailea. 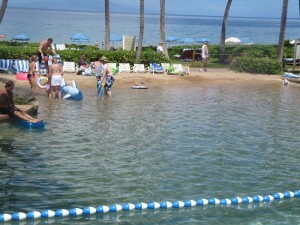 This resort attracts groups (40% of their business) and the only complaint I hear is it is too crowded. 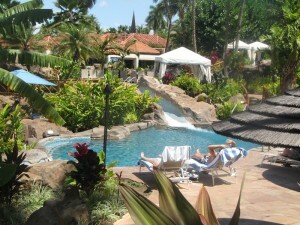 Awesome resort!